Last, but not least, we would like to give a special thanks to Jerry Cleland and his son Wayne for the pipe ceremony used to help carry those prayers where they needed to go. Our latest blog posting, written by Carmen Mendoza King, focuses on child passenger safety. Here is part of it. National Child Passenger Safety Week was Sunday, September 18th through Saturday, September 24th. The Week wrapped up on September 24th with National Seat Check Saturday—a call to action encouraging parents, other caretakers, and anyone responsible for driving with children to make sure that appropriate seating is being used when driving motorized vehicles. Taking the time to learn about child passenger safety is an opportunity to refresh knowledge on practical steps that may prevent motorized vehicle related injuries and fatalities among children. Please click here to go to our agency blog to read the rest of the article. 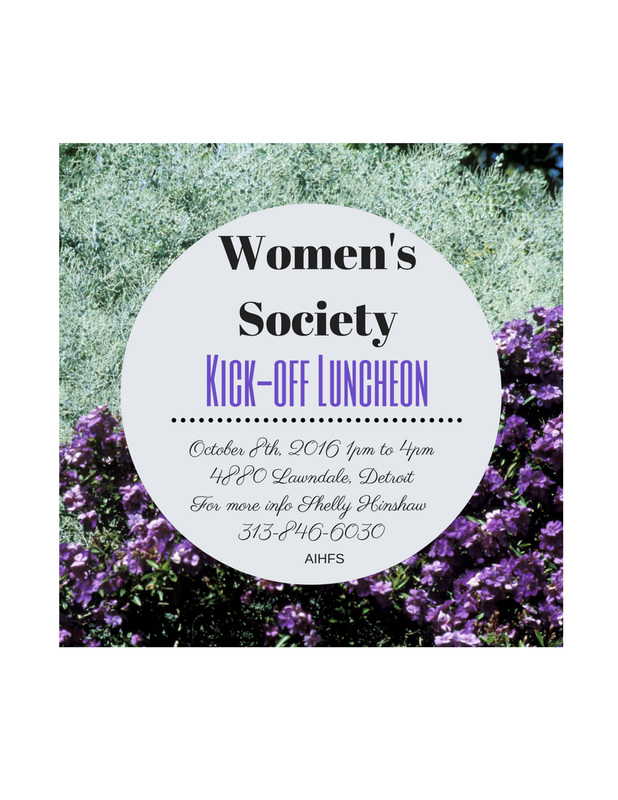 Join us October 8, from 1pm to 4pm, for the Women’s Society Kick-off luncheon. For more info, Shelly Hinshaw 313-846-6030. Open to all youth ages 8-17 who want to have fun, learn about healthy lives free of alcohol and drugs, and learn about Native American cultures and the 7 Grandfather/Grandmother teachings. Youth group continues on Mondays and Tuesdays from 5-7pm throughout the school year. Parents/guardians must register youth and are encouraged to attend the kickoff event on October 10th. 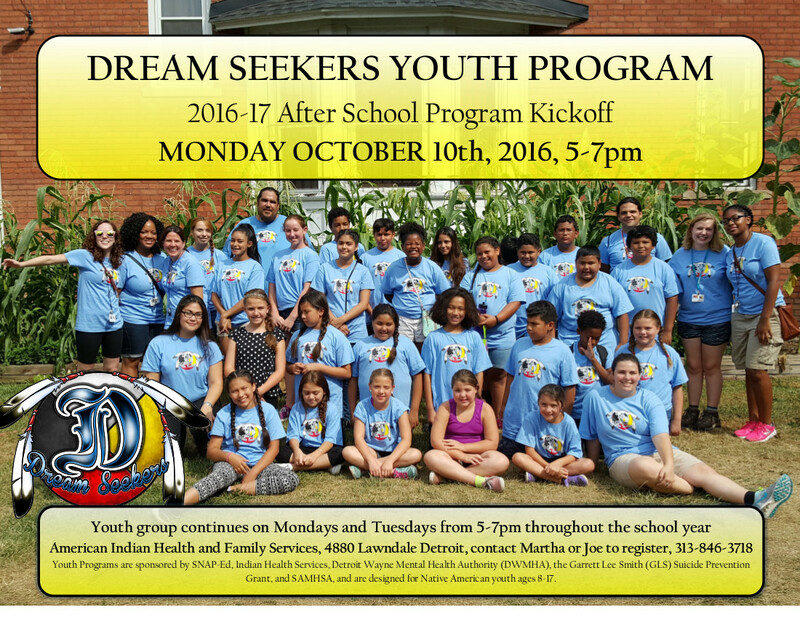 Call Martha or Joe at 313-846-3718 or email jreilly@aihfs.org for more information. Saturday, November 5, we will be having a youth sweat lodge. The sweat lodge conductor will be Tony Davis, of the Little Traverse Bay Band of Odawa Indians. For more info including starting time, contact Martha, 313-846-6030.